Hi there, my name is Carl Böker, born in 1944 in Batoe, Malang, Java, Dutch East Indies. 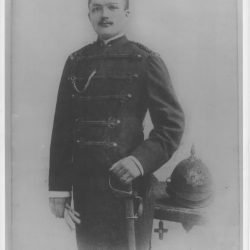 My Grandfather (father’s side) and my father served in the KNIL (Koninklijke Nederland’s Indië Leger/Royal Dutch East Indies Army). 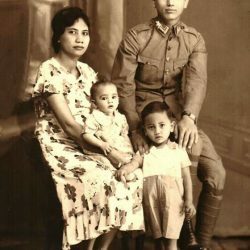 My family lost my oldest brother and a sister one year older than I, due to illnesses, during the Japanese occupation while in the Dutch East Indies. We left Batoe and moved to Surabaya and then to Bandoeng. In September 1950 we left, the then declared Indonesia, in that they had gotten their independence in December of 1949. My mother was found to have Tuberculosis and left separately on a Dutch military hospital ship, while my father and us 8 kids left by a military troop ship. Late October 1950 we arrived in Holland and were taken bij bus to the town of Maastricht, Province of Limburg in the South of The Netherlands and received our red cross winter clothing. We were temporarily moved into an old Dutch Hotel (one room with only a sink in the room and with the bathroom located in the end of the hallway) in Maastricht. We were then moved to another one-room hotel in Valkenburg near Maastricht. A year later we were moved into old military barracks in the city of Eindhoven. Then another year later we moved to another Hotel in The Hague. Then my older brother and I were placed in a catholic boys home in Vogelesang/Bennebroek, while my sisters were placed in a girls home. My oldest brother was 16 and joined the Royal Dutch Navy. Then another older brother and I lived with my mom’s family in Amsterdam, while my sisters and younger brothers were placed with other families in other towns. We did not see our mother for 5 years until she was cleared from her illness (TBC). Then in 1955 she was cleared and allowed to to live with us,at which time we started our own real home in Valkenswaard south of the City of Eindhoven. Two years later we moved to a newer home in Bussum (the Dutch TV Town). 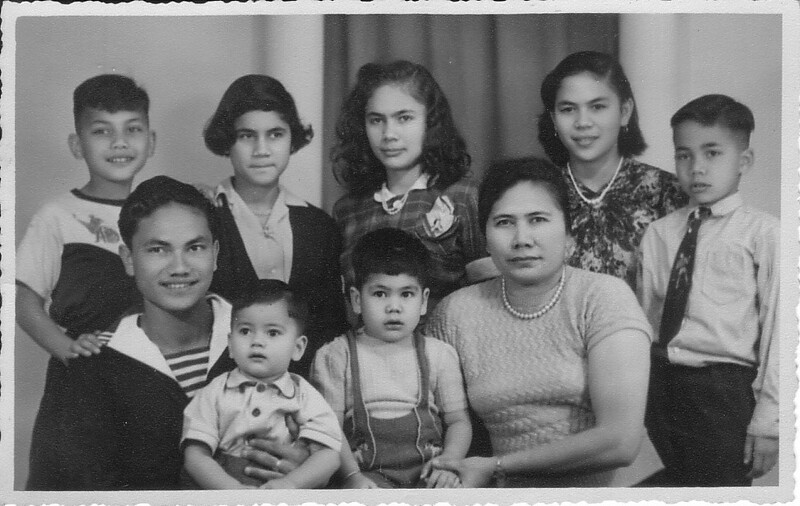 In 1958 my oldest brother and 2 of my oldest sisters gotten married and immigrated to the USA in 1959. With all the turmoils and moving around to different schools, I excelled in my studies and was allowed to test out for the higher grades. At age 15 I was a student at the prestigious Dutch Merchant Marine College (The Hoge Zeevaart School) in Amsterdam studying to be a ship engineer. But then in May of 1960 my dad got word that we were allowed to immigrate to the USA. So again, the family is packing up for another big move, and boarded the Dutch Civilian Carrier the Maasdam leaving Rotterdam to arrive in June of 1960 in New York. Then on the train to Denver were the family of seven started our lives in de USA. My older sister and older brother and I gotten a job washing dishes at the Denver Hilton Hotel at 65 cents an hour, while my dad started cleaning airplanes for Continental airlines. No school for me, and therefore never saw the inside of a HS then. I got lucky, when the head Chef, a Dutchman, of the hotel thought he could train me to become a chef, and within 6 months at age 17, I was in fact a Junior Chef and gotten an offer to work as one of the many party chefs at the Beverly Hills Hilton Hotel in California. I then moved in with one of my married sisters in her home in North Hollywood. Then in late 1962 I received my draft notice. I reported to the North Hollywood recruitment station and volunteered to enter the Army as an Infantry Rifleman at a pay of $68 a month. I was told no high school diploma I could not make more than the $68 a month, unless I want to jump out of airplanes to be a paratrooper and get paid $55 a month more to be as a paratrooper. I took the offer. I started my U.S. Army Career as an Airborne Infantryman in 1963; then was cross-trained to be an Airborne Combat Medic for the 1/502nd Infantry Bn. (Abn), 101st Airborne Division. In 1967, I was assigned to HHC, 1/509th Infantry/Mechanized Bde. (Abn) in Mainz, Germany to leave the infamous jungles and rice paddies of the former Republic of Vietnam. I got to learn how to operate an APC (Armored Personnel Carrier) and how to keep an eye out for the Russian and East German soldiers. 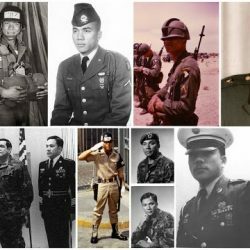 In 1968, I was re-trained to be a Military Policeman and was assigned to the only Paratrooper MP Platoon (1st MP Platoon (Abn), 8th MP Co., 8th Infantry Division) in Germany in support of the 1st Brigade 509th Infantry/Mechanized (Abn). We were also the 8th Infantry Division’s Honor Guard. Note: the majority of the 8th Infantry Division was non-airborne. As a U.S. Army Master Parachutist , I had also been awarded with Parachutist Wings of the former Republic of South Vietnam and the former country of West-Germany. Did many assignments as an Military Police Investigator (MPI) to assist the US Army CID with undercover operations in CONUS and in the former West-Germany. Subsequently received training from the US Customs Service to function as the first supervisor for the Schinnen Field Office Border Operations (42nd MP Group (Customs)) Schinnen, The Netherlands to conduct drug suppression operations at the Dutch/Belgian/German border crossings. *****I did receive my promotion to Master Sergeant E-8 in May of 1982, but declined the promotion in lieu of retiring in April of 1983. Completed my military career at Fort Bragg, NC with the 118th MP Co. (Abn) (note: this was my 2nd assignment to this unit) as a Platoon Sergeant and Field First Sergeant respectively (and, having also ran the Ft. Bragg CID Drug Suppression Team for about 1 1/2 year prior). 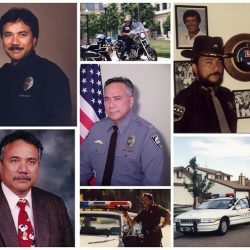 then served with the Aurora Police Department in Aurora, CO (Patrol, FTO, PAR, DART, and subsequently as a Detective (was also the department’s representative with the Denver Field Office U.S. Custom Service); and in October of 1999 I was selected and hired to be the Chief of Police for the Fairplay Police Department in Fairplay, CO.
Just an extra note…., many assignments as a Military Police Investigator and subsequently as a Police Detective included undercover operations working for the FBI, DEA, Secret Service (VIP Protection), the US Customs Service, and working with the Dutch Marechausee (Military Police and Dutch Customs Operations), German Bundes Grenzschutz (Federal Police) and the Belgian Gendarmerie (Federal Police).My wife and I then moved to Las Vegas, NV in 2002. I tried working the casinos (did not like it), then worked for the first TSA/Homeland Security Department at the McCarran International Airport in Las Vegas. Currently retired (May 9, 2014) from the Las Vegas Convention Center (AKA: LVCVA) as a Senior Convention Authority Officer. Wow, Mr Bröker, what an illustrious career ! You are the living proof what can be achieved even after experiencing a war and a revolution as a child in the country we were born. You are an example to all us “ Indos “. Wow, Mr. Bröker, what an illustrious career ! You are an example to all us Indos. You should at least be voted “ Indo of the year “. Thanks for sharing your story and thank you for your service. WOW – God Bless sir – beautiful pictures and even better story! Respect from another Indo of the month writer ((April 2017)) . Our family’s stories have that familiar ring of KNIL, WWII, the reason for leaving and repatriating to “Holland”. Then after a short stay the family ends up in ‘Amerika’, where our fathers knew we would have a lot more opportunity to have a better life. Carl Bröker, you excelled in every which way and can tell all about your military career and more. I am happy to have read your story. Allemaal hartelijk bedankt voor de kudos. Geweldig vind ik dat van jullie. Maar ja alleen een korte biographie, hebt anders veel meer te vertellen. Hartelijk dank weer. Very impressive. Congratulations on a wonderful career. Just wondered what happened to your parents and the rest of your brothers and sisters. Have they also had a positive life in the USA? Thanks Elisabeth Loth. My father died young, had one heart attack at 1 day before his 65th birthday, caused by PTSD from the war in Indië. My mother stayed with us for over 20 yrs and passed at age 82. All my brothers and sisters done good, due to hard work here in the USA. I was the only military and policeman in the family.